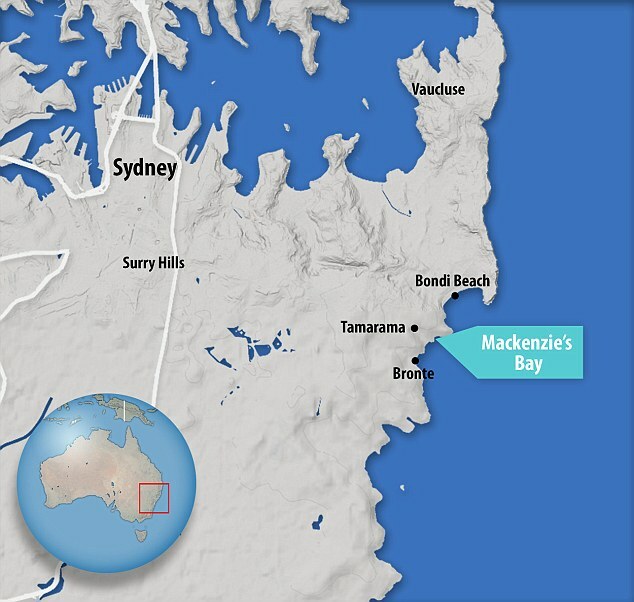 Sydney's Mackenzies Bay has been transformed into a temporary beach. 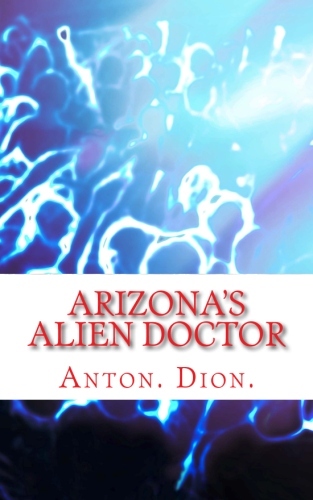 The sandy display mysteriously appears every seven to 10 years! Swimmers are basking in the sunshine at a stunning beach that mysteriously pops up once every seven years. 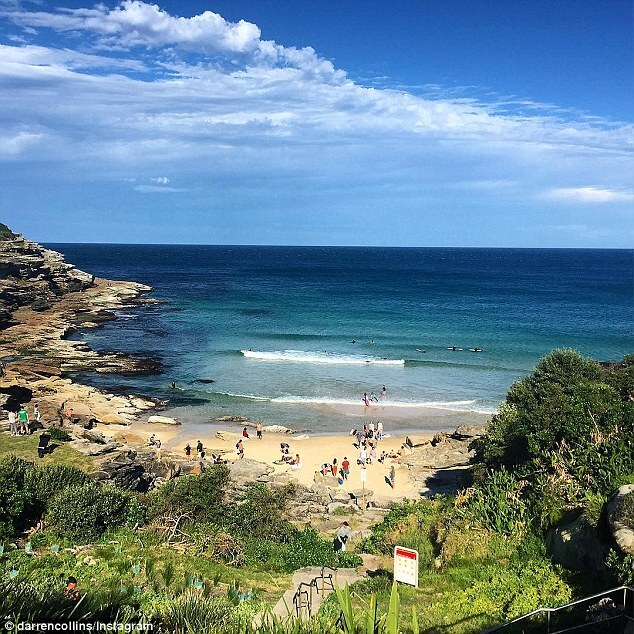 Tucked between Bondi and Tamarama beaches in the eastern suburbs of Sydney, Mackenzies Bay usually has a rocky inlet with no sand. But in recent weeks, the picturesque bay has been transformed into a temporary beach - believed to be caused by the developing 'El Nino' weather system which brings smaller waves and calmer conditions on the ocean. Residents living along the seaside have claimed the sand usually arrives about every seven to 10 years. And the mystery remains around just how long the rare sandy display will last. The location has been a popular dog-friendly place for owners and their four-legged friends as the area is not patrolled because it's not deemed an official beach. Dogs are banned on all the council beaches, including Mackenzies Bay, but the area has offered owners an extra place to walk their pets. Beachgoers are always treated to a different display at the bay each year, ranging from just a narrow strip of sand to a rocky inlet with no sand in sight. 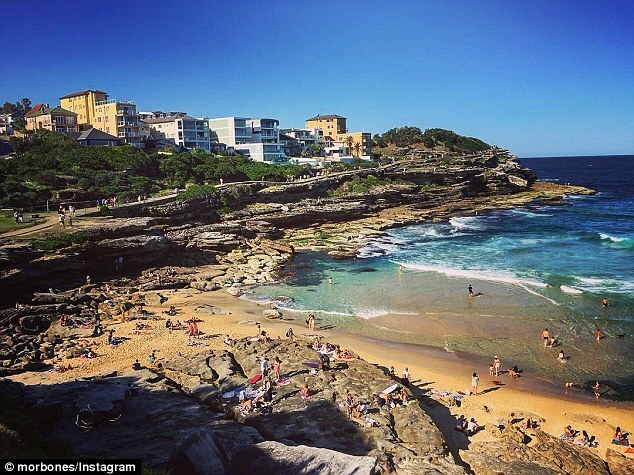 University of Technology Sydney sedimentary geologist Greg Skilbeck said the beach phenomenon occurred when waves swept sand onto the coast from nearby sandbars. 'It is a common occurrence for sand to end up on the shore during winter when you have increased wave energy,' he said. University of NSW coastal geomorphologist Dr. Rob Brander believed the rare sight was caused by seasonal change. 'Patterns of swell direction have a lot to do with it, but the amount of sand on our beaches is also linked to longer-term climatic cycles,' he explained. 'During a La Nina phase we tend to get more storms, bigger waves and our beaches erode.